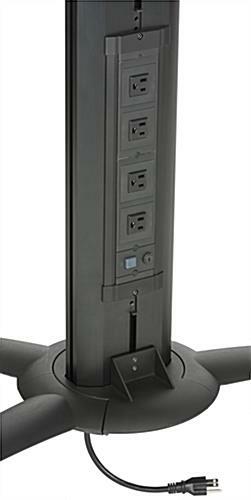 Dual TV Stand with Power Distribution & Max Load Capacity of 132lbs. 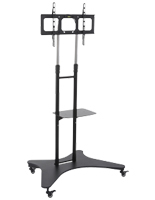 Set up digital displays using this dual TV stand with power distribution to create a stunning visual presentation for potential customers and passersby. 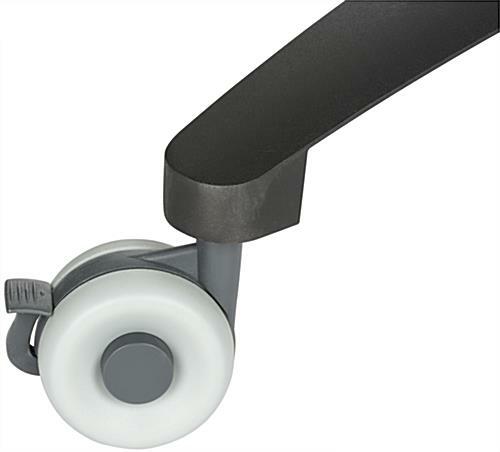 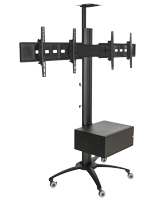 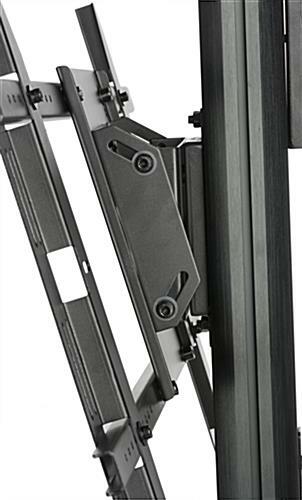 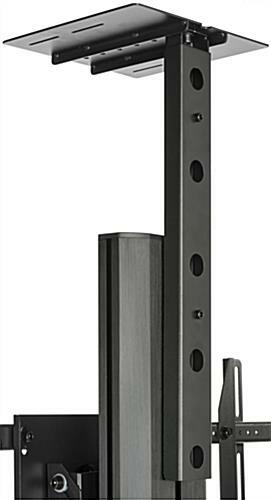 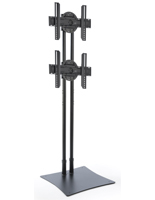 Each mount is capable of rotating to orient the LCD monitors in either portrait or landscape view. 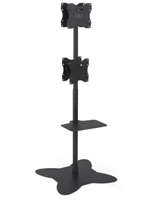 Equipped with 4 casters, the robust TV stand can move freely to any location necessary for the best possible viewing experience. 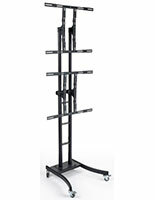 Built in electrical outlets and cable management helps keeps your floor standing mount looking organized and professional. 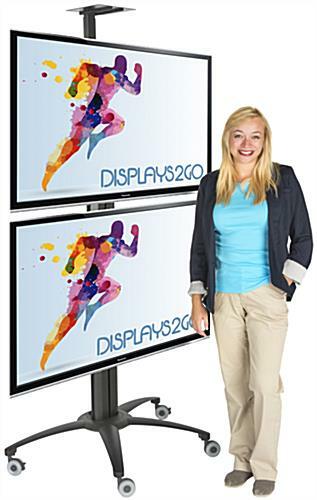 Mount 2 LCD monitors up to 60” in size with a maximum combined load capacity of 198lbs. 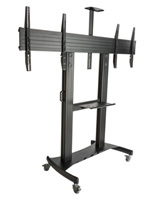 Featuring cable management and heavy duty construction this TV stand will be a worthwhile investment for your business for years to come! 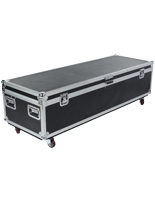 40.0" x 86.0" x 24.3"
40.0" x 6.4" x 24.3"
31.6" x 22.6" x 3.4"